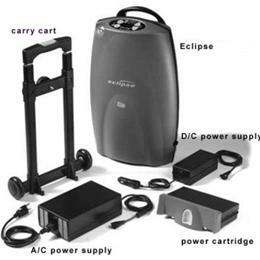 The Eclipse 3 personal ambulatory oxygen system (PAOS) provides the most reliable continuous flow and pulse dose options in a 24/7 portable device. 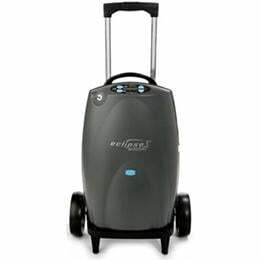 It is one device for both stationary and ambulatory oxygen needs. 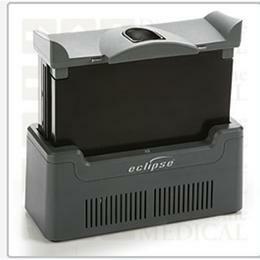 For a closer look at the benefits and features of the Eclipse 3, a detailed description of the improvements Sequal has made since the previous Eclipse generation units, pictures and descriptions of accessories included, and in-depth technical specifications, click on the Product Detail PDF located below, under the Additional Resources tab. 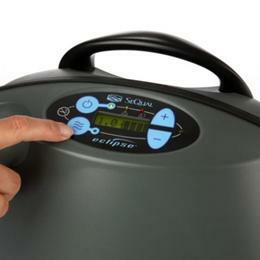 Dimensions: 19.3" x 12.3" x 7.1"
Product weight (Eclipse unit): 15 lbs. Product weight (power cartridge): 3.4 lbs.